Small issues add up for Valentino Rossi on the second day of the Commercial Bank Grand Prix of Qatar as he looks for improvements in FP4. 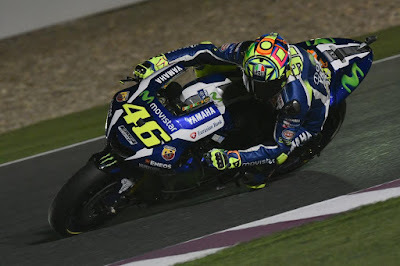 It was not an easy second day in Qatar for Valentino Rossi, the nine-time World Champion saving a near crash on his elbow with sparks flying. Front-end grip was somewhat lacking in the first session of the day, Free Practice 2, and it took Rossi several laps to adjust himself and the bike to the new conditions. Rossi spent FP2 experimenting with different tyre options in order to understand which combination would be the best for the race. For Free Practice 3, Rossi and his Movistar Yamaha MotoGP team focused on securing themselves a spot inside the top ten in order to head directly into Q2. Some technical issues resulted in a slow start for Rossi, ‘The Doctor’ switching to his second machine and setting a 1’55.175 on his 17th lap of 17. 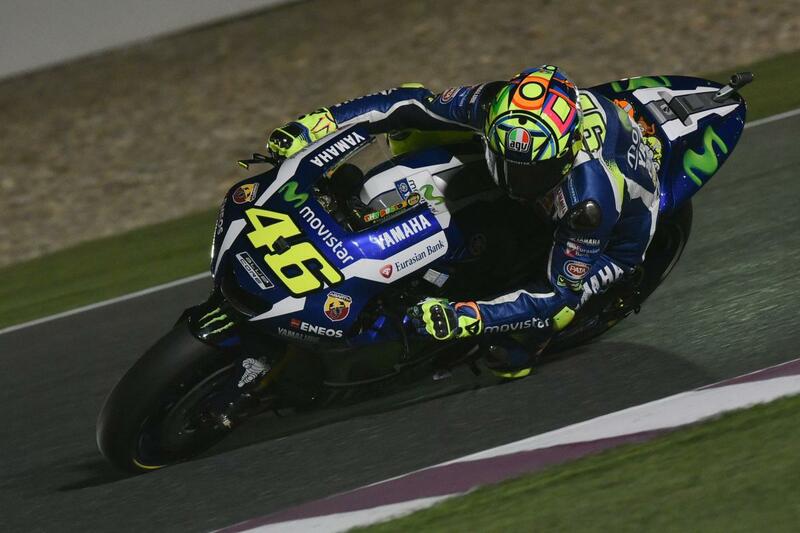 This time saw him end the day in seventh and 0.536s back on the top spot. Times are incredibly close as the top 12 MotoGP™ World Championship riders were split by less than a second, the Q2 session already shaping up to be a hard fought brawl for pole. Today was a bit more difficult, especially in Free Practice 2. We tried something else, but we expected the tyre to be a bit harder.